The eLearning Consortium of Colorado’s annual professional development day was on October 25, 2013. 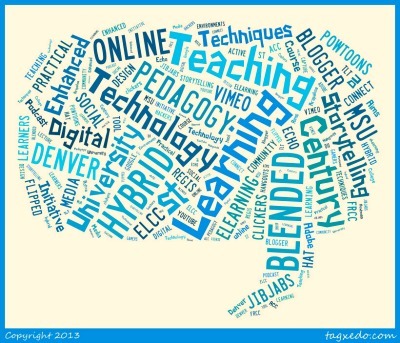 This year we again partnered with MSU Denver to co-sponsor the Symposium for Teaching & Learning with Technology. I served on the planning committee along with Jean Otte, Director of Online Learning at Aims and eLCC co-Chair, Ben Zastrocky, Director of the Educational Technology Center at MSU and eLCC member. Jane Chapman-Vigil, MSU’s Director of Faculty Development and James Lyall, MSU’s CIO also served on the planning committee. We were thrilled that so many people submitted proposals and attended the event! My colleague, Bridget Arend, provided the keynote presentation and representatives from several colleges and universities presented at the symposium.